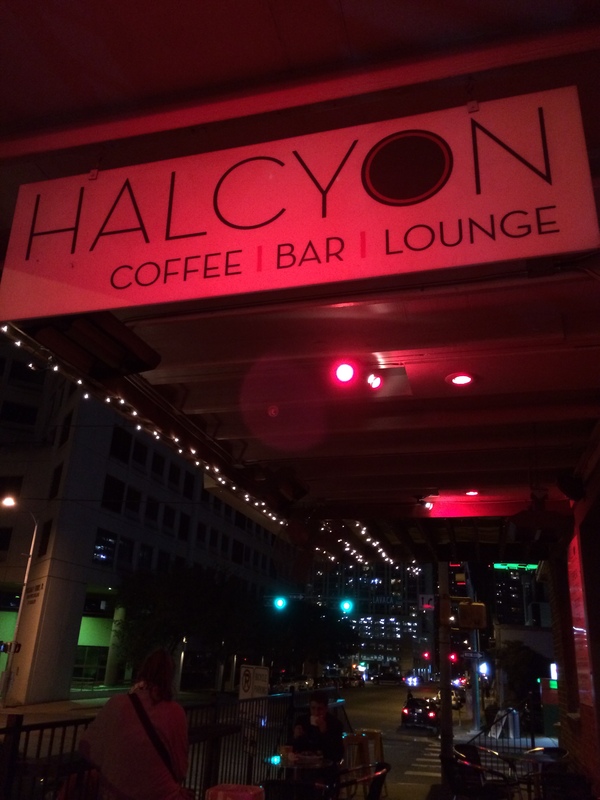 Halcyon is a coffee/brunch place by day and a vibrant bar&lounge by night. It’s famous for it’s unique tableside s’mores. The s’mores themselves aren’t unique but they have these mini burners that you can use at your table to roast the marshmallows. The entire environment has a very urban and hip vibe, filled with people as the evening goes on. It’s located in downtown Austin mixed in along a bright street with various bars and lounges. As you walk along 4th street, you’ll hear live music coming from different bars mixed with the sound of laughter and chatter. Bright lights line the street and everything seems to come alive. Halcyon itself is located on the corner and the staff is really friendly. You seat yourself after you order at the counter and they’ll bring your order to you. The lighting is dim but it has a comfortable feel with lots of seating including small sofas, table seating, bar seating, pub tables, and some outdoor seating. If you choose to sit outside though, you won’t be able to roast s’mores per lounge policy. I would definitely come check this place out if you’re willing to spend a bit more money just for the experience. Parking can be a pain and expensive though, so count this as a fair warning.